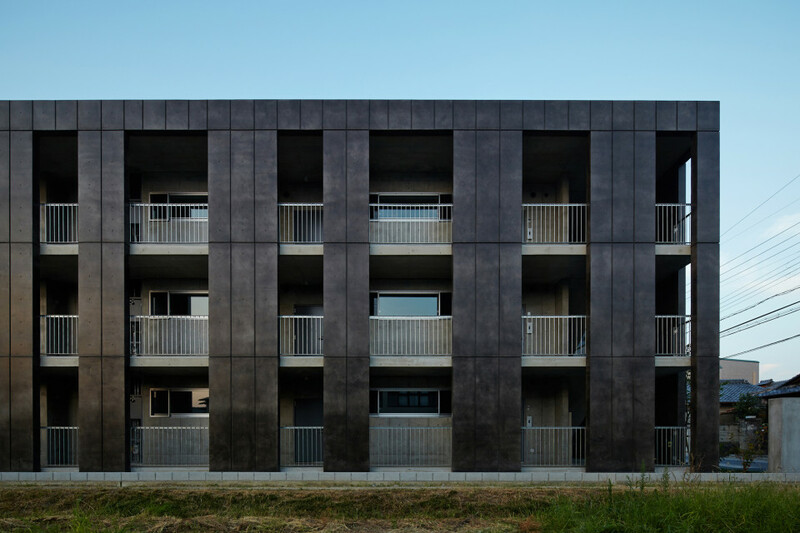 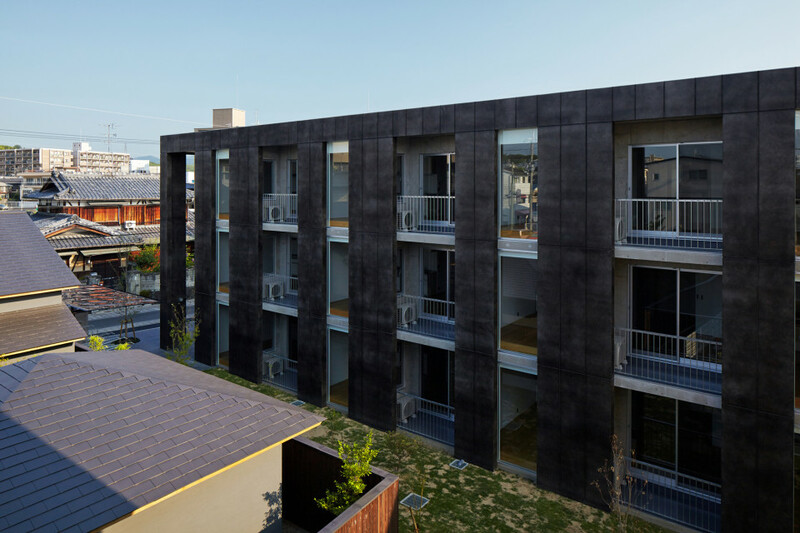 A residential complex located in Muko city, Kyoto. 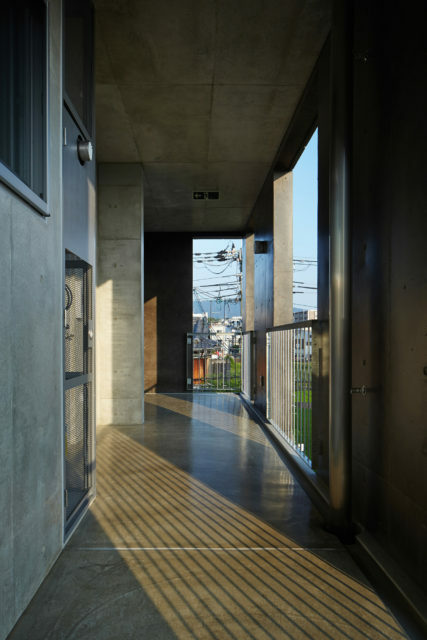 The building is facing to a historical street. 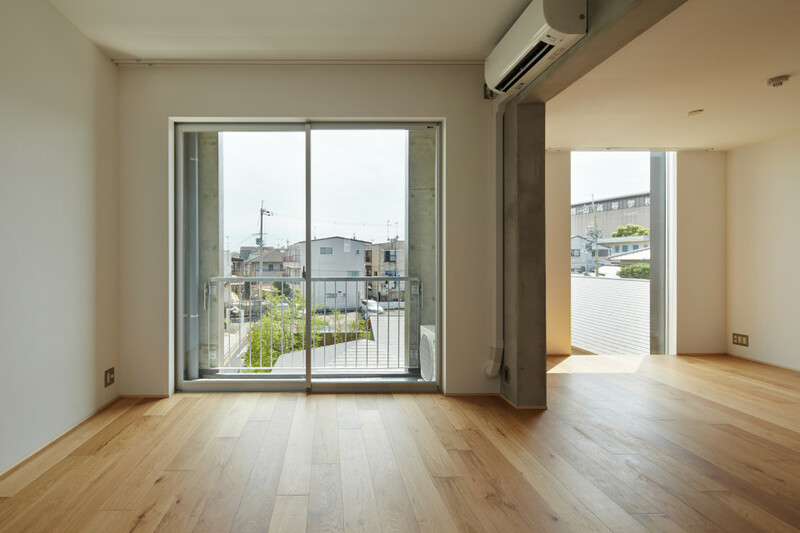 The location is mixed with historic sites and countryside sceneries as well as the modern shops and apartments, making the area rather unarranged. 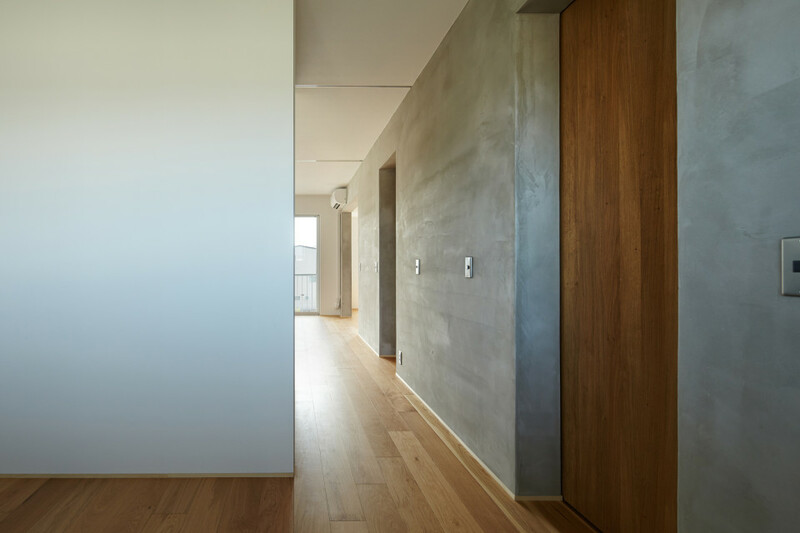 Thus, we aimed not just to meet the requirements as a preferable rent but also aimed to make the architecture have positive effects to the townscape when to design this apartment. 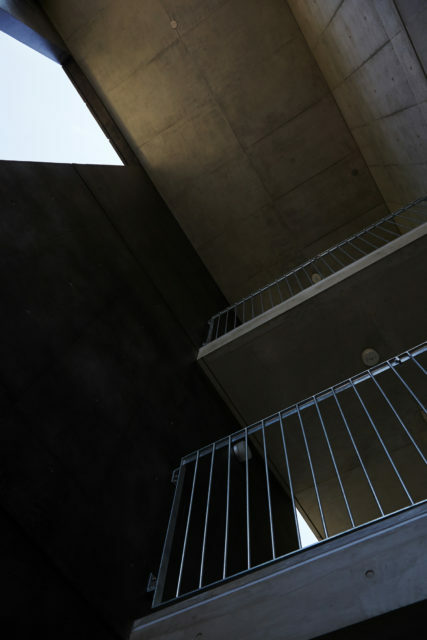 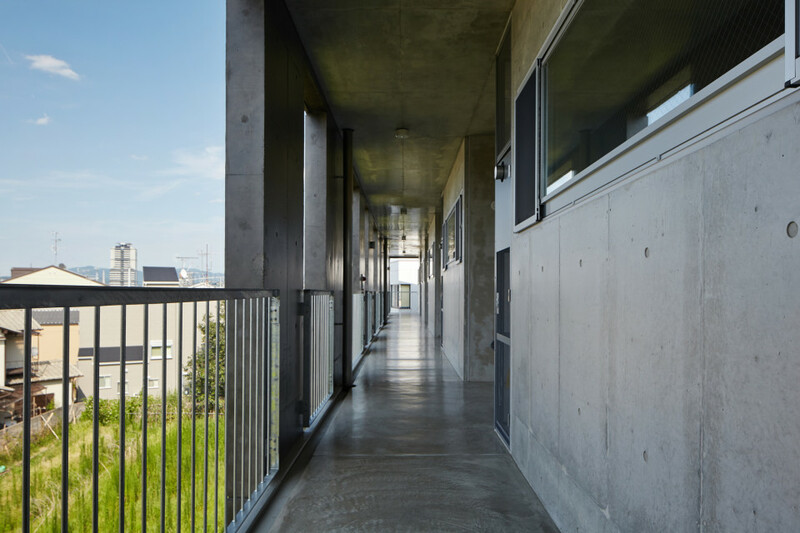 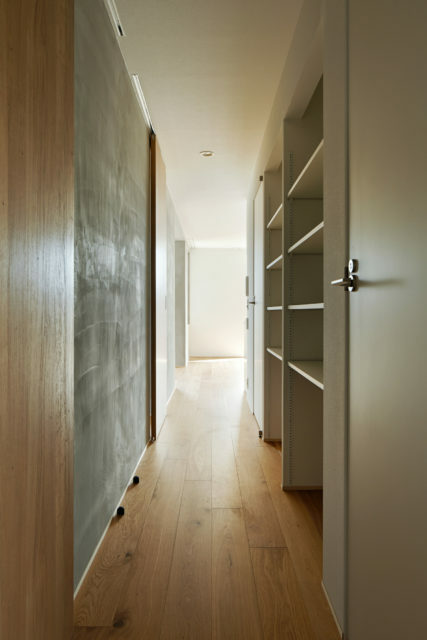 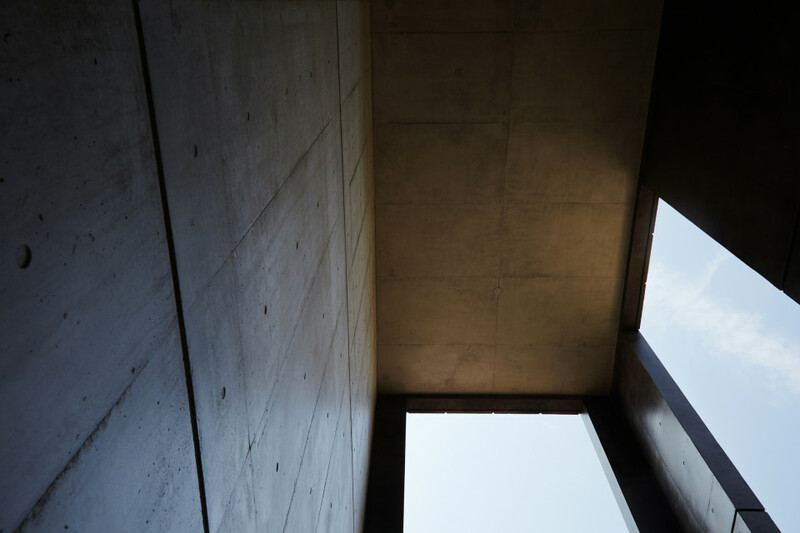 We first came up with the size of the apartment – three stories with reinforced concrete – based on the legal requirements then made all rooms facing to south. 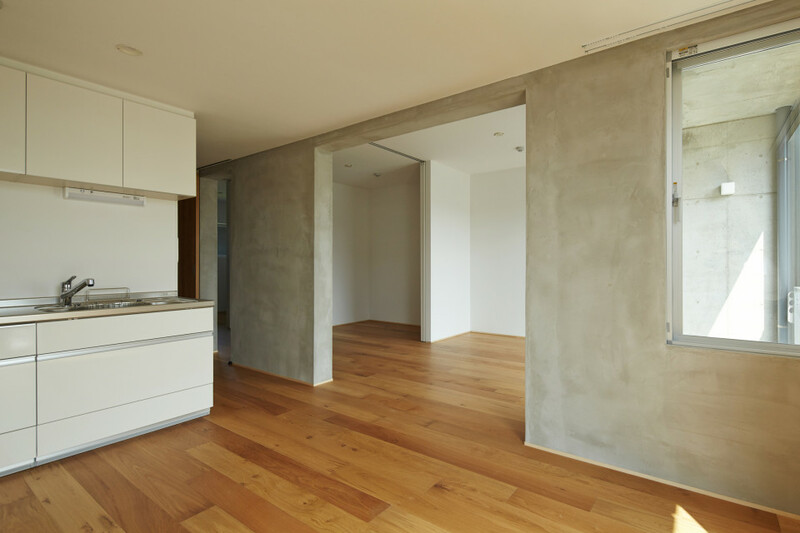 We used the least foundation walls within the residential space and streamlined the equipment area to enable the possible layout changes in the future. 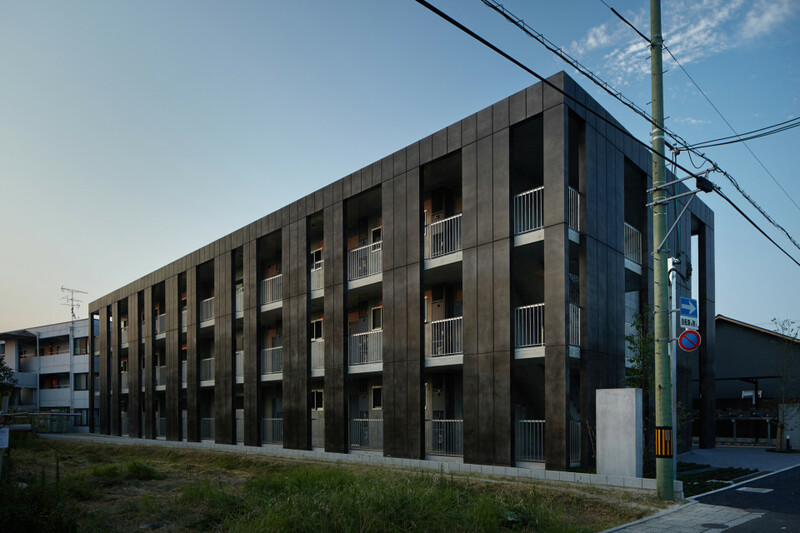 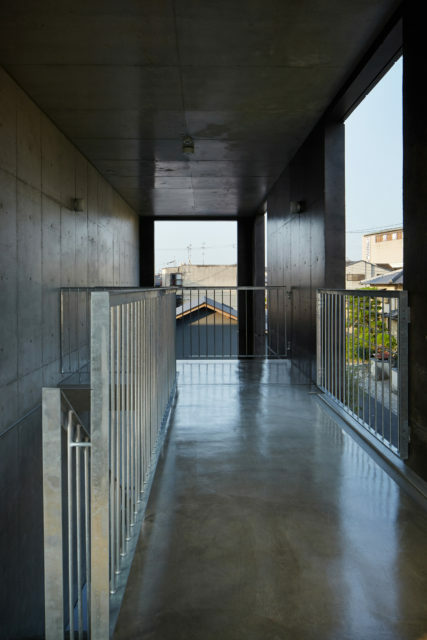 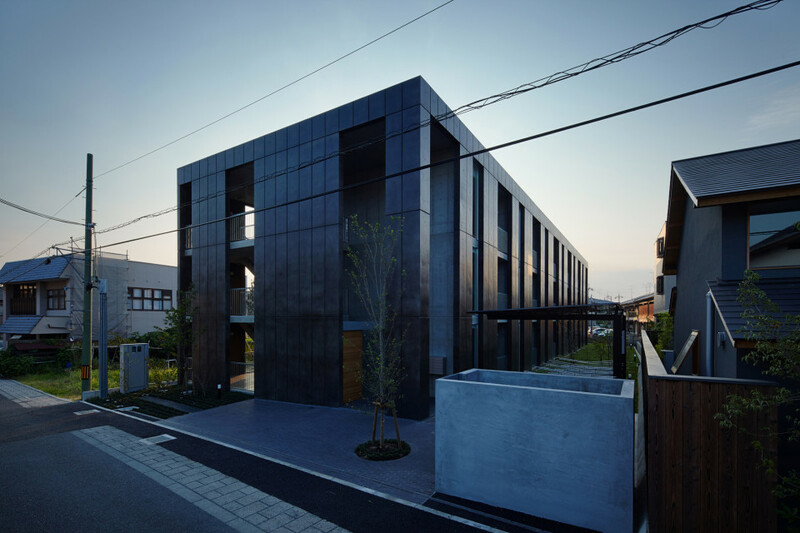 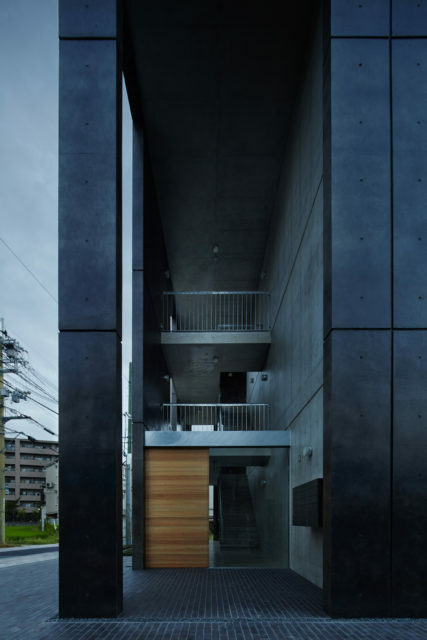 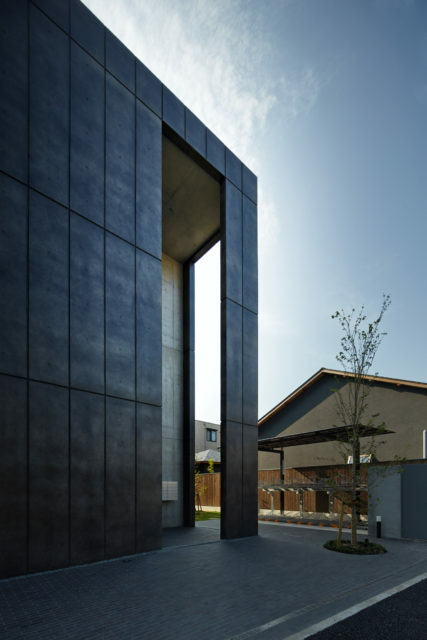 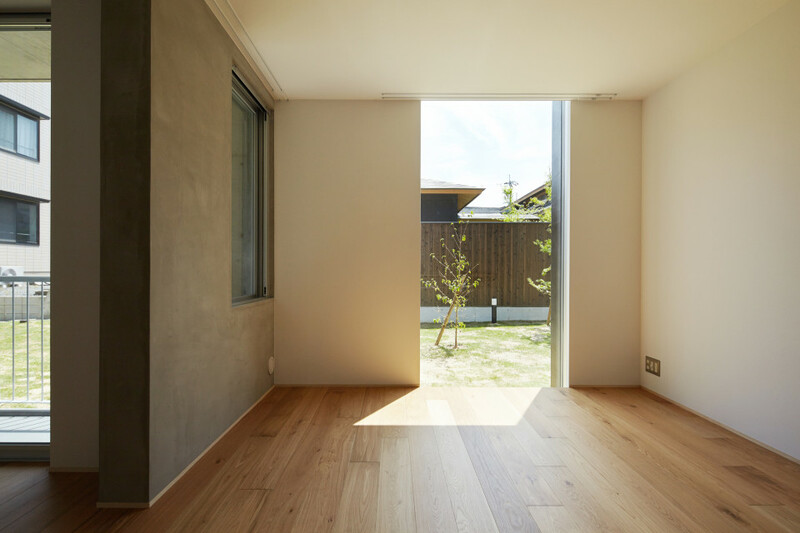 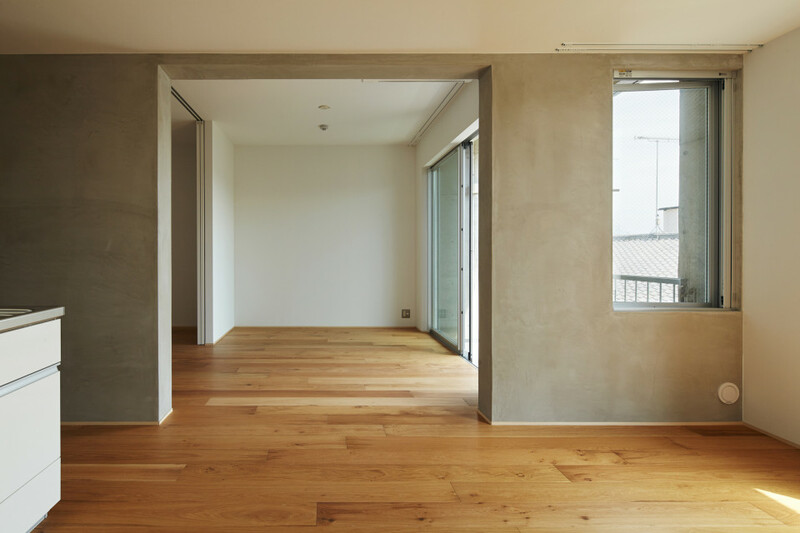 To reduce the pressure of the size, the building is set some distance back from the road and has a semi-outdoor public space as a buffer zone surrounded by thin structural walls that are designed like under-eaves space of the Japanese traditional townhouse called Machiya. 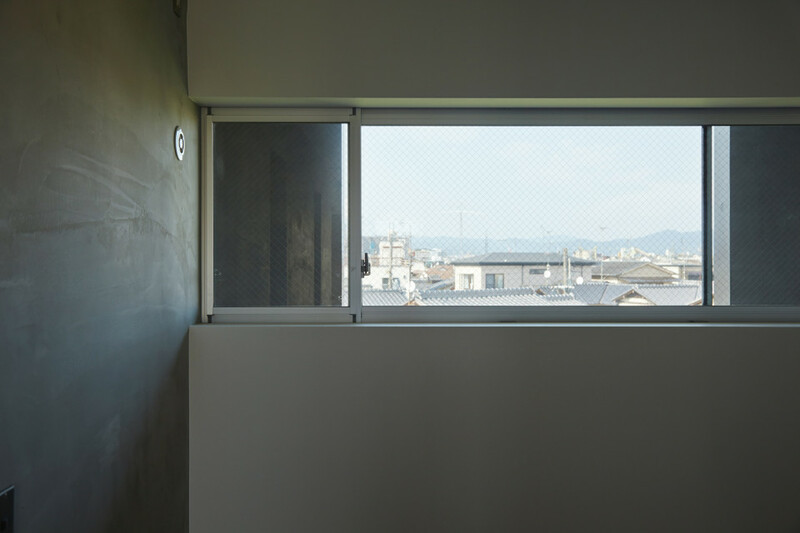 Furthermore, 2ft-width exterior wall parts are used for outer walls and its slim ditch pattern contributes the large structure settles into the scales of neighbor residential houses. 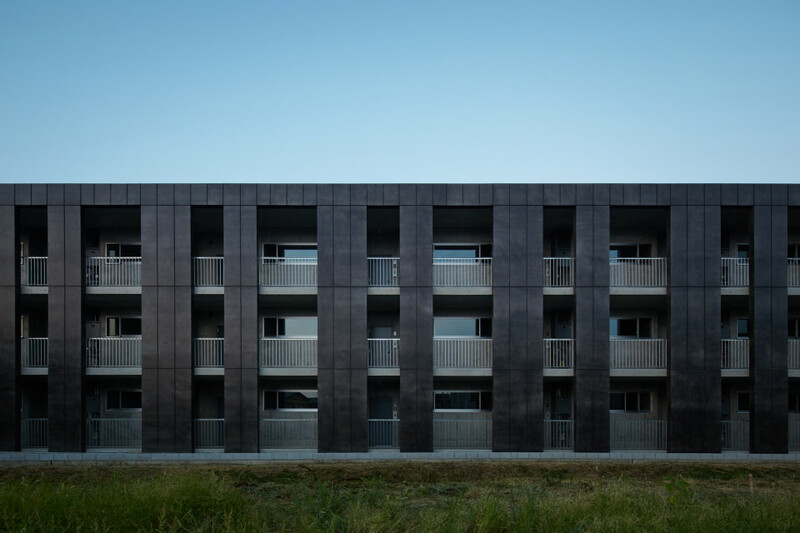 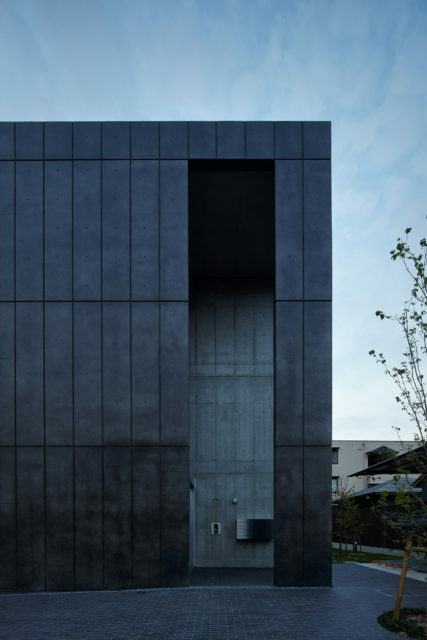 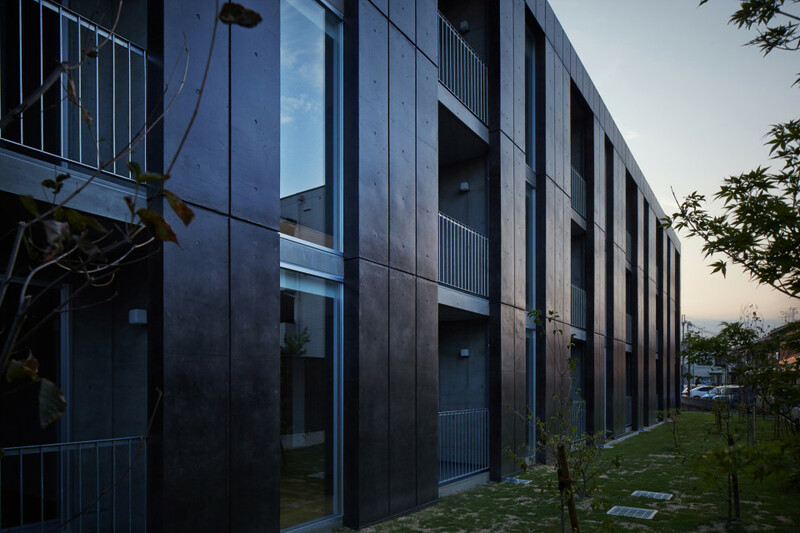 And a black water-repellent coating helps the apartment fits into the houses with Japanese tiled-roofs in the area. 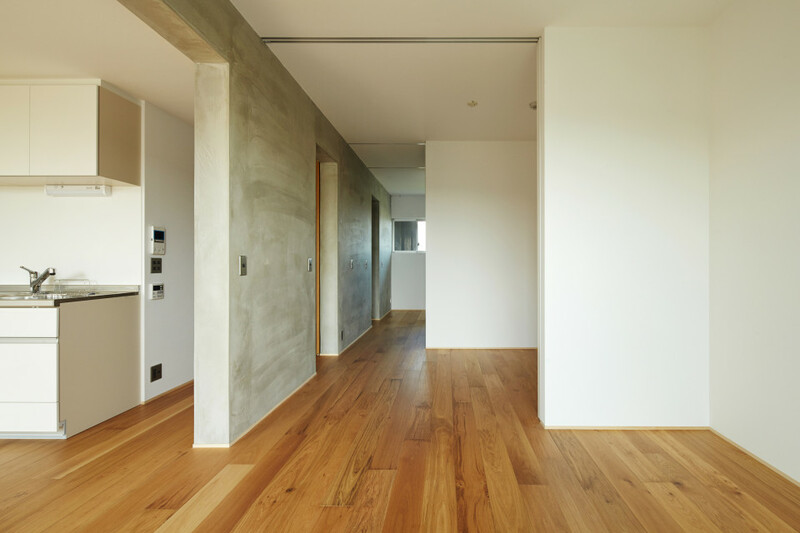 (By finishing the surface uneven, it also delays the degradation of the materials over time.) 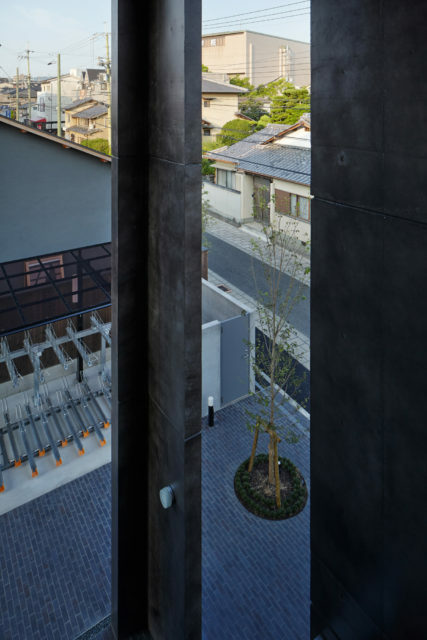 We believe a townscape well represents the way of thinking of local residents. 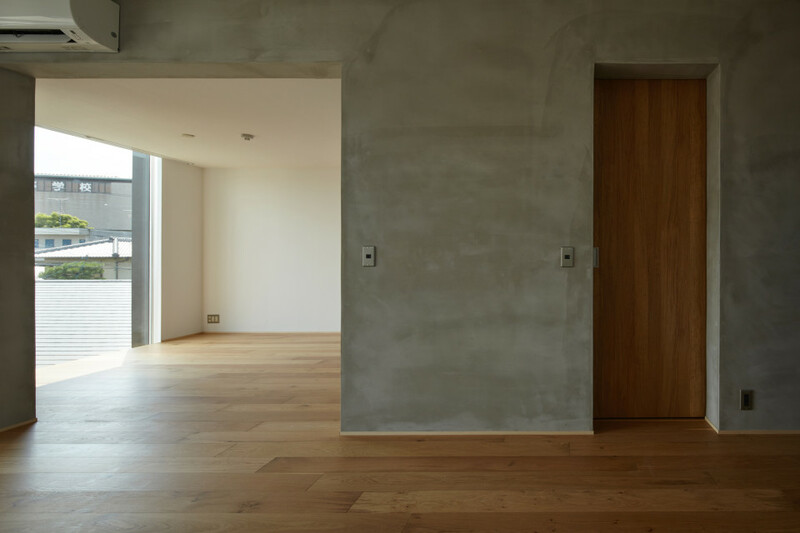 We expect our intention to inherit the good local traditions – not just to pursue the economic approach – will be taken over in this area.